The constant chatter in the shipping and energy industry has been about liquefied natural gas and how to incorporate it into the everyday life on the sea. Princeton, New Jersey-based shipping company TOTE, Inc. has taken it a step further. They are revealing two large-scale transporters that will rely solely on LNG. 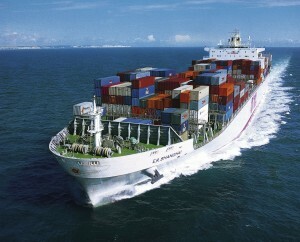 Other ships have converted to this abundant and trending fuel, but none has relied on it as a sole means as a fuel. The United States has been importing LNG for years and now due to a huge abundance, and a very affordable cost of sustainability, the country is bracing for a industry wide cross over to this cheap, environmentally friendly fuel. Today’s ships primarily rely on a heavy fuel, known in the industry as ‘bunker fuel’ with the rest relying on diesel. Several reasons have slowed other ships from making a switch to LNG, the main reason being cost. Retrofitting these older ships to a new style of propulsion would be a technological challenge, and very costly as well. Secondly, LNG has a higher density than most other fuels, leaving less room and volume for precious cargo space. But TOTE decided that a long-term investment like this was paramount to their overall success. “For us, the reason, first and foremost, is environmental. Having an environmentally friendly solution was the driver from the beginning.” Anthony Chiarello, President and CEO of TOTE said. The two ships, scheduled for completion in 2015 & 2016 will be used along TOTE’s route to Puerto Rico and will pass through some environmentally sensitive areas. Ships like these are light years ahead of the environmental restrictions regarding smog -forming sulfur dioxides and are nearly 100% cleaner for the environment.